Home>Entertainment> Loni Love On Conversation With Jussie Smollett: He's "Going Through It"
The Real talk show host Loni Love recently sent out a tweet briefly describing a phone conversation she had with Jussie Smollett and how the actor asked her to share the moment with her followers. "So Jussie called me.. we had a long talk and he wanted to thank those that have supported him.. he is with his family and wanted me to let the public know that he will answer all questions soon... #vessel," Loni tweeted. 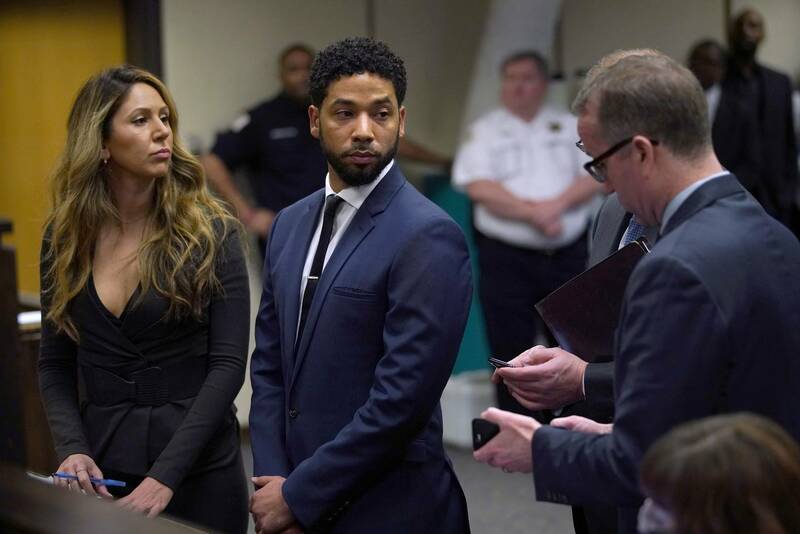 The comedian has now explained just what conspired during the "hour and a half" conversation and how she gave Jussie time to just speak. "He said that he was reaching out [to] people that showed love and support," she told her co-hosts. "He said that I can ask any question I wanted. I was there not to judge him. I just wanted to listen to what he had to say." Loni further explained how the Empire star is "going through it" adding how he has "a lot of details" and there's a lot that's happening. "He has a lot to say but he's not publically ready to speak [...] He said that he wanted to find out how the public felt," she explained. "So, that's why I put out the tweet. Not putting out the tweet as a scoop and all this... This is something he asked me to do." Watch Loni's full explanation below. ENTERTAINMENT Loni Love On Conversation With Jussie Smollett: He's "Going Through It"
Loni Love On "Hour & Half" Conversation With Jussie Smollett: He's "Going Through It"